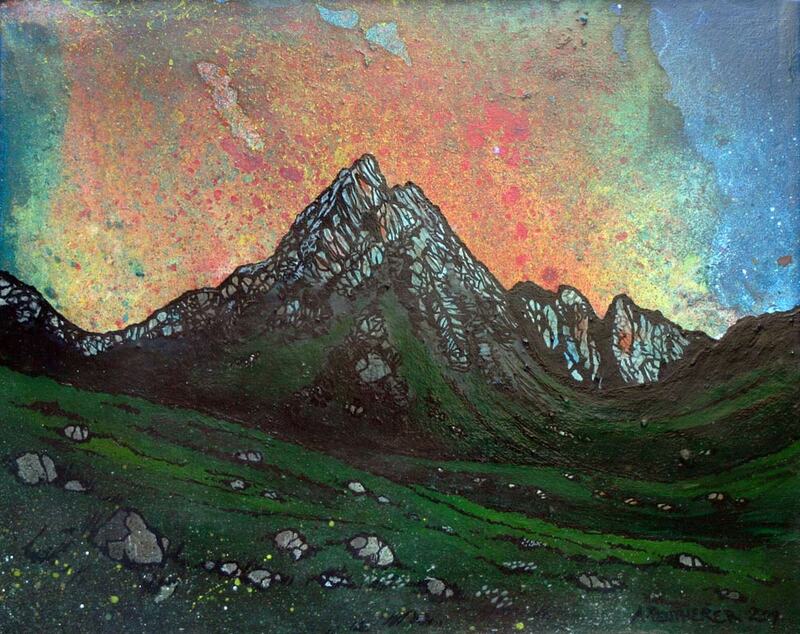 An original painting & prints of Glen Rosa Sunset, Isle Of Arran, Ayrshire Coast, Scotland. An original abstract, atmospheric seascape painting of The Isle of Arran, Ayrshire Coast, Scotland. Painting & prints of Glen Rosa Sunset, Isle Of Arran, Ayrshire Coast, Scotland. From an original Scottish painting by Andy Peutherer. Paintings & Prints of Arran - Glen Rosa Sunset, Isle Of Arran, Ayrshire Coast, Scotland.